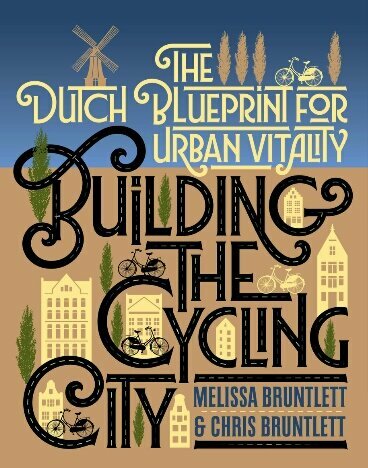 “Building the Cycling City: The Dutch Blueprint for Urban Vitality”, Melissa Bruntlett and Chris Bruntlett. Island Press. 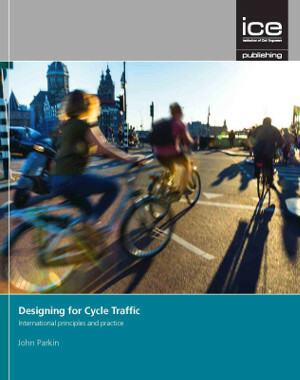 “Designing for Cycle Traffic: International principles and practice”, John Parkin. Institution of Civil Engineers Publishing. This isn’t going to be a long review, because if you’re interested in this subject you’re just going to have to get hold of the books yourself! What follows then, and is repeated at various places throughout the book, is statement of the central question of how examples achieved elsewhere in the past can be used as guides for the future: “Every city is different, and has to find their own ways to improve the city” (p.97). Each chapter has a clear overview and highlights, neatly separated sections, technical illustrations to satisfy any professional engineer and good quality references (yes., my book is in there!). Of course, neither of these books will provide “the answer” easily. Blueprints such as these have to be introduced into a society still in thrall to mass car use and yet more road building to accommodate (and generate) more motor traffic. How road users will behave, as well as getting more cycle-friendly infrastructure installed in the first place, is going to be affected – indeed confronted – by the ideologies and culture of accumulated decades of subservience to increasing mass motorisation. But working out ways to get to a better future can be helped by demonstrating how existing societies have managed to provide a better alternative. Parkin’s book in particular will be a necessary tool when it comes to showing how the public highway can be laid out for the benefit of a transport system based more on the healthy and sustainable mode of cycling.